If you love James Gandolfini (and who doesn’t), this is your last chance to see the late actor on the big screen. And it’s a damn good performance, playing a small-time crook who runs a Brooklyn bar that serves as a money drop for Russian dealers. The bartender, Marv’s cousin Bob (the great Tom Hardy), goes along with the plan until things go south. And so director Michaël R. Roskam, working from a tight script by Dennis Lehane, builds up tension as we watch these characters make one nasty decision after the other. Gandolfini is a live wire, and his scenes with Tom Hardy have a spark the later scenes lack. No matter. 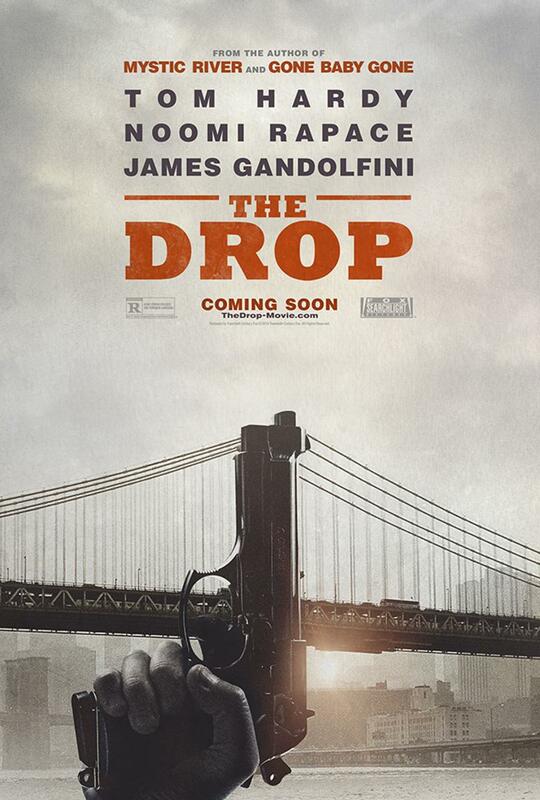 “The Drop” holds you in its grip. It’s definitely worth checking out.